The Armed Forces Bank (AFB) has specialized in military banking and served active military, retired military, and civilians for over 100 years. True to its motto of “Your Hometown Bank Around the World,” customers can bank with AFB, worldwide, by phone, mail, on-line, and automated teller machines worldwide. Armed Forces Bank has full-service branches inside the Main Exchange in several military installations around the globe, as well as on many U.S. ships. These branches offer 7-day-a-week banking and are open during Exchange business hours with the goal to provide individualized, personal service that meets the needs of our soldiers and civilian customers wherever they might be around the world. 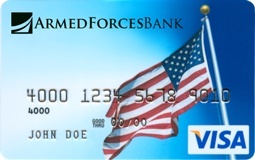 If a loved one needs to make a purchase or emergency cash on base or aboard a ship, the Armed Forces Bank Visa Card is the one credit card to have. Armed Forces Bank is owned by Dickinson Financial Corporation, located in Kansas City, Missouri, and is not an official government entity or agency. I forgot the website to make payments for my secured AFB visa card and view my visa account. You might have to set up an online account to make payments if you do not have one already.